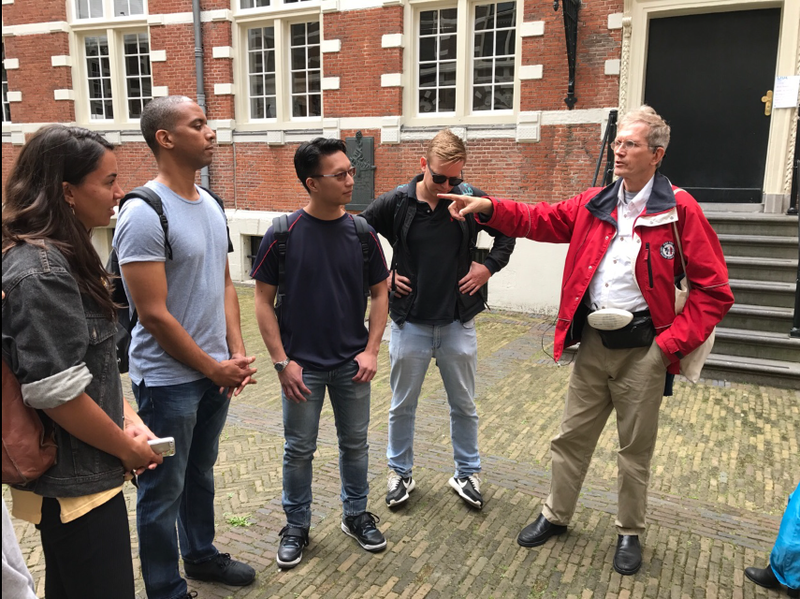 On this walking tour we will walk the central city and discover Amsterdam hotspots that connect us with great scientific minds of the past. I believe in outreach, bringing great science history to the people. Blaeu, and other geography map publishing houses, producing the very best atlases and globes of that day and age. 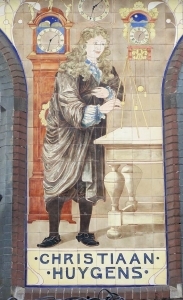 Bartjens, the mathematics teacher whose school textbook was used for many centuries. 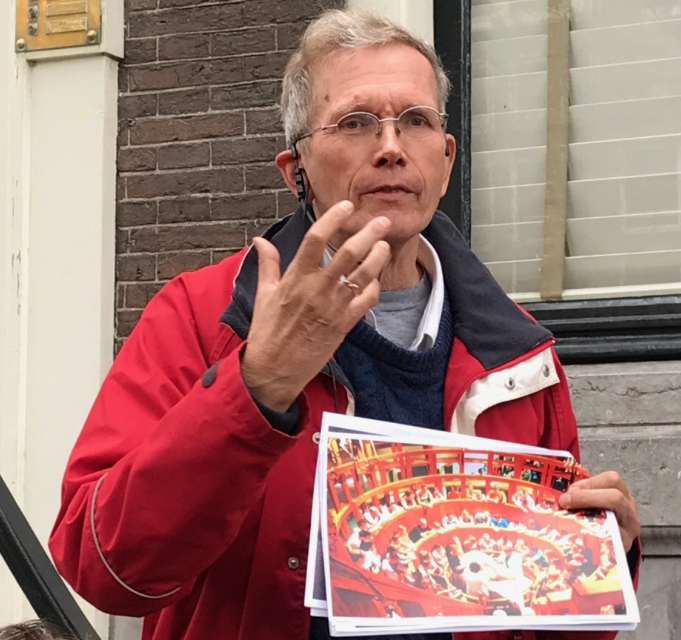 Van der Heijden, the inventor of the continuous fire engine hose pump system. The scientific knowledge nerve centers: Arti, the Academy of Science, book publishers, university hubs and the spots where they originated. Houses of individual scientists and authors, Vondel, Bredero. The guild hall of the medical surgeons. Shipbuilding at the shipyards at the wharves, the smell of tar and pitch. United East India trade center, VOC. Artis Natura Magistra zoo with scientific library. The hidden hallway of the Amsterdam Historic Museum. Photo on top: a tiled mural of Christiaan Huygens in the Leidsestraat. 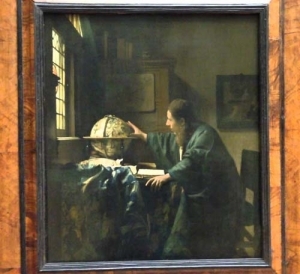 A Vermeer painting, Geographer at work. 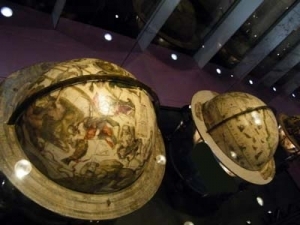 Globes by the Blaeu firm, at the heart of mapmaking and atlas producers. Rembrandt: surgeons around the corps of Mr Kind. A class by Dr Tulp. 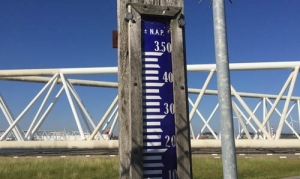 New Amsterdam Level (NAP) is now the worldwide standard of water heights. Comparable to Greenwich Mean Time. Amsterdam chapter of the Dutch United India Company, VoC. 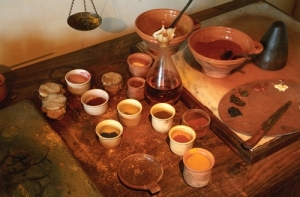 Table filled with earth pigments. 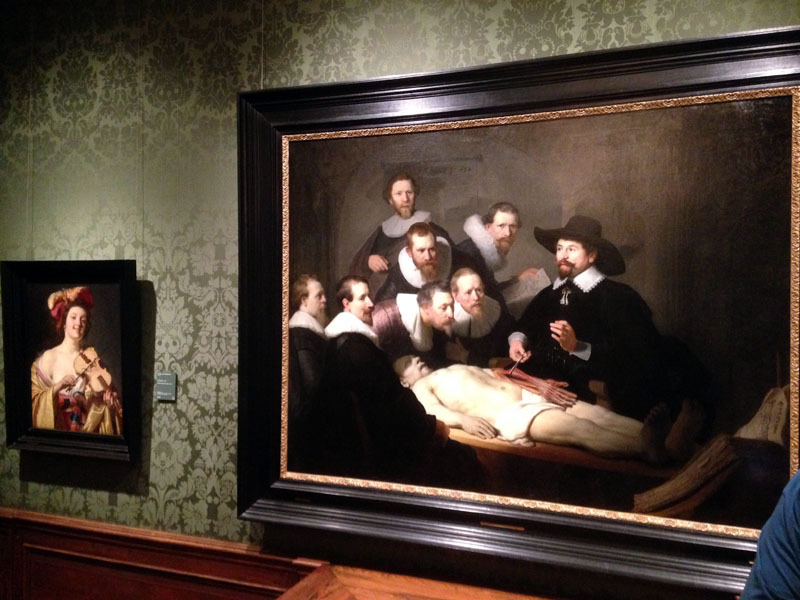 These were the staple colours for Rembrandt. Earth colours and chemical products. 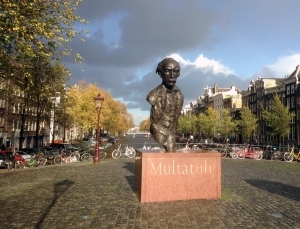 Our greatest literature hero, Multatuli, who changed political history, in Indonesia (Dutch Indies). Still very readable. 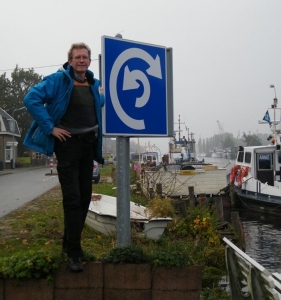 Guess what this traffic sign wants you to do. 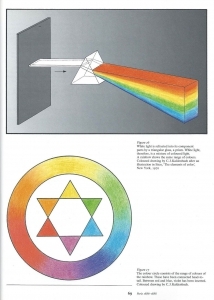 The science of light refraction through a prism. And the Simultaneous Contrast of Colour. Drawings by Kaldenbach. 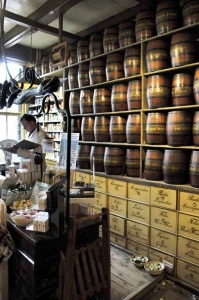 Spices and herbs, the oldest store in Amsterdam. 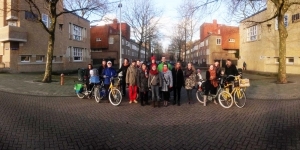 Architectural tour, showing the qualities of Amsterdam School architects. 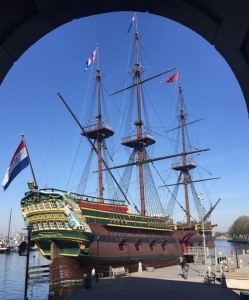 Sebuilt ship, Amsterdam chapter of the Dutch United India Company, VoC. Metsu, Woman reading a letter. 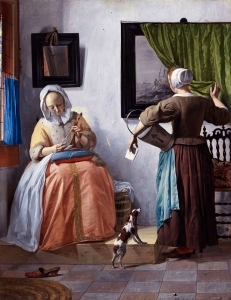 A letter is read. The sender may be far, far away.